I have always been attracted to brands that are off the beaten path or not hindered in taking chances. Brands such as Jean Paul Gaultier, Saint Laurent Paris, and Eymeric Francois are just a few examples, brands like this interest me, they inspire me, and they shine in creativity. So, when I heard that there was a new Men’s Wear boutique opening in Le Marais in one of its chicest areas, you know there was no keeping me away, I was there. 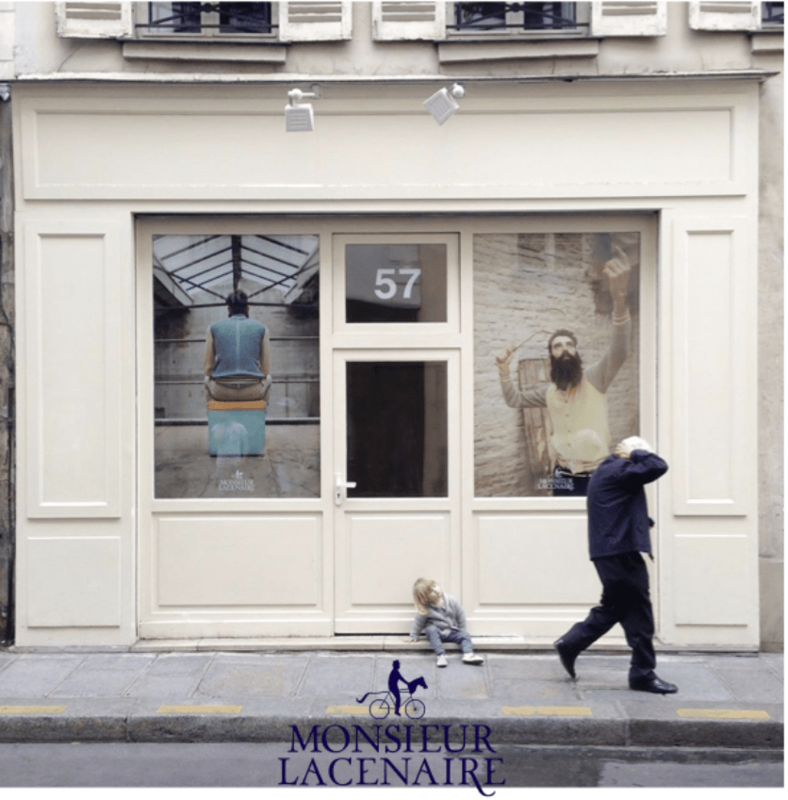 The Brand is called Monsieur Lacenaire and it is located at 57 Rue Charlot in the third arrondissement in Paris. After taking a stroll around the neighborhood before the event and playing a game that I like to call “If I could have any one of these apartments which one would I have?” I walked in, and I was more than pleased with what I saw and the people that I met. It was a very sporty brand with a lot of natural colors and textures, and any doubts on the subject would be resolved after seeing the foosball table or in French “Babyfoot” in the middle of the room. The boutique was also decorated with tennis rackets, roller skates, and bicycles. But, I haven’t gotten to the best part yet…most boutique openings in Paris serve wine or champagne, this opening, they served beer. I thought beer was the perfect choice and a very fitting way to celebrate the brand. The clothing also had a real natural texture to it and was very casual, like the kind of cloths you would wear to a beach party or a party at a country club. Everything was designed by designer Garrence Broca who is the brains behind Monsieur Lacenaire. Since she is the créatrice and the founder of the brand, I thought I would ask her a few questions. The thing that I was very curious about was her decision to start a Men’s Wear brand, in a female and female oriented industry such as the fashion industry; I thought that was a very noble and brave task. The answer that I got made me a fan of the brand forever, Garrence had a lot of male friends who asked her to design clothing and she realized that into this brand. Garrence is a designer who watches, listens, and draws inspiration from the world and people around her. In my opinion, the clothing is very functional, well made, and can give a lot of individuality to the male wardrobe. One of my favorite pieces is a “natural cream” colored button down shirt that looked to me like a wool woven breast pocket with blue and yellow dots strategically placed diagonally. The dots add some interesting color and the contrasts of the textures would look great with a pair of jeans and a pair of sneakers. If you love that shirt and one is never enough, you can also get the same colored cardigan, but wait…this time with polka dots two of which are blue and yellow and strategically placed diagonalyl from each other. My second favorite piece was a gray sweater that had an old French Car (le Deux Cheveaux) on it with a French Flag sticking out the back. It was very cool, chic, and definitive of the brand and its origins. The brand also makes a lot of cool sneakers in a variety of colors that I am still dying to try on. To conclude, everybody involved with the making of the brand, the inauguration of the boutique, and manifesting the image of the brand and the collection into one entity did a great job. 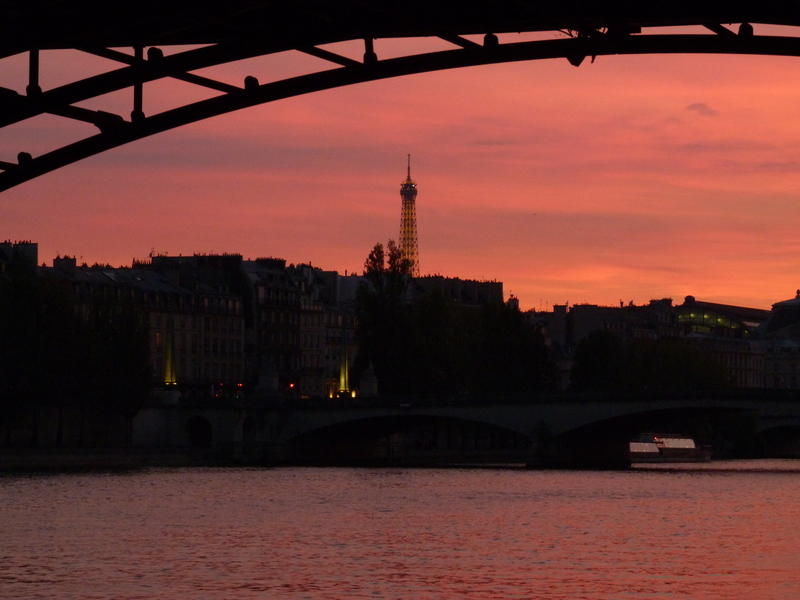 If you are in Paris and you would like to visit the boutique for yourself the address is: 57 Rue Charlot 75003, it is not a far walk from République and will make a great activity for any sunny Saturday afternoon in Paris. Congratulations to everybody at Monsieur Lacenaire on a job well done!